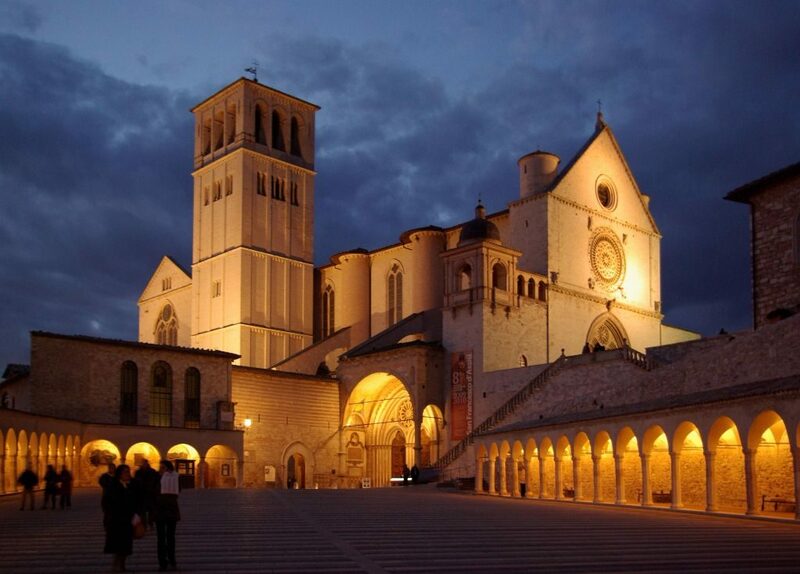 Today is the Feast of the Papal Basilica of St. Francis of Assisi. Bishop Robert Barron said in his new documentary that St. Francis would not have approved of building such a large basilica in his name, being such a humble apostle of Christ. But this beautiful church represents the great Franciscan Spirituality in which St. Francis renewed the church with a spirit of love, poverty, and mercy. 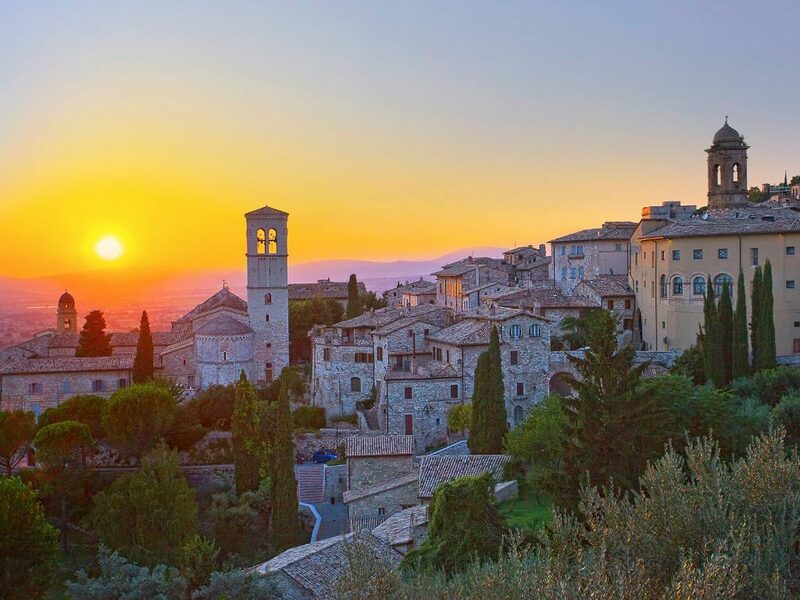 The Papal Basilica of St. Francis of Assisi is the mother church of the Order of Friars Minor, commonly known as the Franciscan Order, in Assisi, Italy, the city where St. Francis was born and died. The basilica is one of the most important places of Christian pilgrimage in Italy. With its accompanying friary, the basilica is a distinctive landmark to those approaching Assisi. It has been a UNESCO World Heritage Site since 2000. One of the great annual events that takes place in Assisi was started by St. John Paul II – the World Day of Peace. It was 1986 in Assisi, Italy that Pope John Paul II called together many world religions and leaders to pray and work towards world peace. In a short video below, Fr. James Martin, S.J. talks about the life of St. Francis and works of mercy he did in the streets of Assisi, Italy.